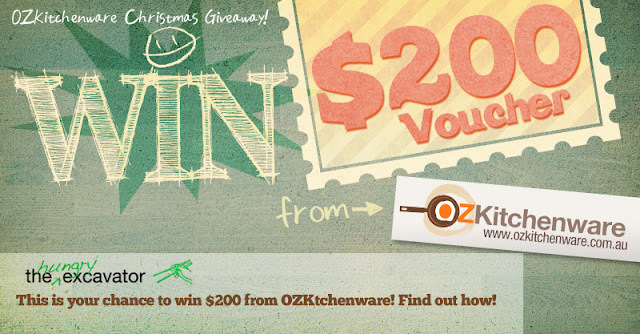 The Hungry Excavator: OZKitchenware Christmas Giveaway!!! EXCITING NEWS. Today, I am hosting my FIRST ever giveaway here on The Hungry Excavator. HURRAHHHHH!!! 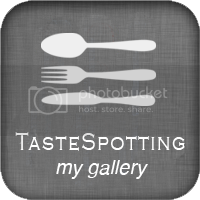 I'd like to thank each of you for all your visits/clicks since I relaunched this blog in August to bring it to where it is today. Thank you. Just in time for the festive season, the lovely people at OZKitchenware has approached me to host a giveaway competition for them. And the prize? A whopping generous $200 Gift Voucher to spend on ANYTHING you like from their website! WAO WEEE~~! I remembered the first time that I logged on to their website and literally spent half an hour or more just browsing through all the kitchen products that I wanted to get. I'm sure that most of you already have kitchenware items in mind that you'd like to get for your home, so this is perfect for you because $200 can go a LONG way. I know that I constantly have at least 3 kitchen products that I'd like to get off the top of my head and I don't know why. 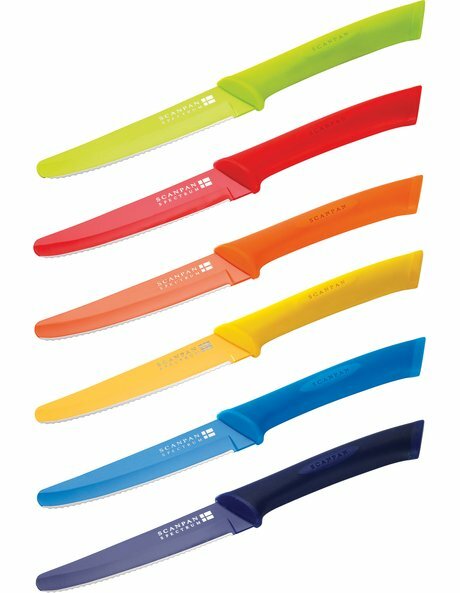 OZKitchenware is a great place to browse for kitchen items because they carry all the great brands such as Scanpan, Cuisinart, Chasseur, Global Knives, and so on. They've also set up a helpful Christmas Gift Guide, so please check that out! "What kitchen product would I like to get from OZKitchenware this Christmas and how can I use that to bless others around me?" Leave a comment with your answer below (try and post the link of the product so that other people who may be interested will know which product you're referring to!) by just signing in as "Guest" with just your name and e-mail. That's it! And the entry with the best answer will win! 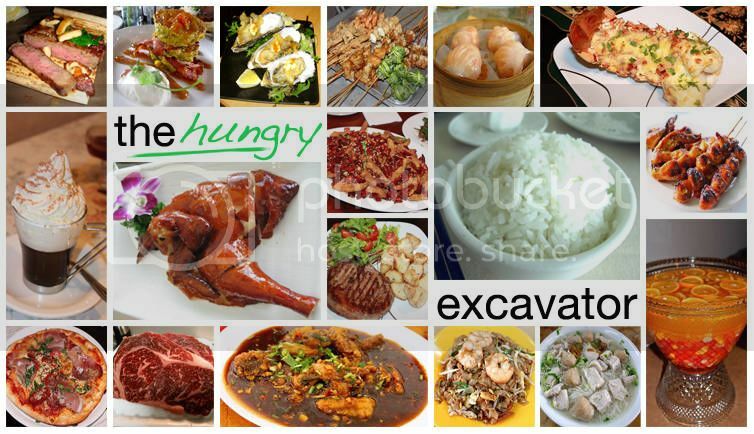 (ii) Like BOTH The Hungry Excavator and OZKitchenware Facebook pages! How fun would it be to own a set of these in your kitchen?! I want one too!! The winner will be chosen at random and if you're already a fan of these two FB pages, you will be automatically qualified. TOO EASY! This competition is open to people residing in Australia only and closes on 11pm, 27th December 2011.